Fintan joined Sinn Féin when he was 16. He was elected in the 2014 Local Elections to South Dublin County Council and is now one of six Sinn Féin Senators. He was appointed as the chairperson of Ógra Shinn Féin in 2016. He is passionate about working for the achievement of LGBTQI rights, a Repeal of the 8th amendment, greater state support for artists, and radical electoral reform. Paddy has been active in Sinn Féin and Ógra Shinn Féin for most of his adult life. His international work for the youth of Sinn Féin has been invaluable in building political alliances across the world. Róisé is from West Belfast and was elected to the NYC by Congress in Cork, 2016 and again in Derry, 2017. For two years, Róisé served as youth representative on the Sinn Féin Ard Comhairle and is currently Rúnaí of the National Youth Committee. She is studying Social Policy in UUJ. Caolán McGinley is a Sinn Féin activist from Derry and Chairperson of Ógra Shinn Féin in Derry. He is 21 years of age and currently works as a political advisor. He has been a member of the National Youth Committee for the last number of years and played a major role in organising National Youth Congress held in Derry in 2017. He is also a DJ and a proud Celtic supporter. Aodhán is 21 and is currently in his second year of a politics degree at the University of Ulster. As an activist over the last 4 years, he has been involved in numerous elections and campaigns. Since 2014/2015, Aodhán has been heavily involved in the Sinn Féin International Department and became International Officer for the National Youth Committee in 2016. He is a member of the Sinn Féin Ard Comhairle. Kate Kelly is 22, and lives in Cork City. Kate is a National Youth Committee representative on the Sinn Féin Ard Comhairle. She has a BA in History / Politics from University College Cork and is currently studying at the UCC School of Law. Kate is also a Gaisce Award Ambassador. In 2016 she was appointed as LGBTQI+ Officer for Ógra Shinn Féin. She is passionate about repealing the 8th amendment. Níamh Ní Chíosóg is a member of the National Youth Committee. She is from Garvaghy Road, Co. Armagh. She is a tireless campaigner for Women's rights and a repeal of the 8th amendment. Niamh was appointed as Women's Officer for Ógra Shinn Féin in 2017. She is an unapologetic feminist and regularly writes for the Ógra blog. Naoise Ó Cuilín is from Belfast. He is an Irish language activist and a member of the GAA. Naoise was co-opted to the National Youth Committee in 2017. He is a member of the Mairéad Farrell Belfast branch of Ógra Shinn Féin. Eoin is currently chairperson of Ógra Shinn Féin in Dublin. 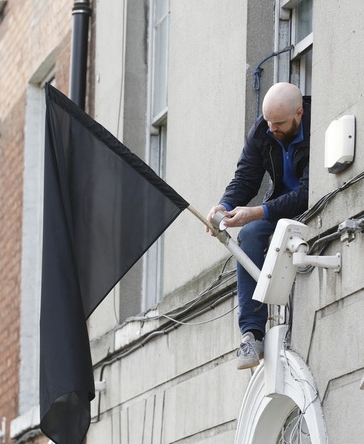 He has led the structures in the city through educational sessions, talks, and campaigns on repealing the 8th, freedom for Ahed Tamimi, support for Catalan democracy as well as mobilising Dublin Ógra for various demonstrations and marches, including support for publicly funded education. He was elected as a member of the National Youth Committee in 2017.